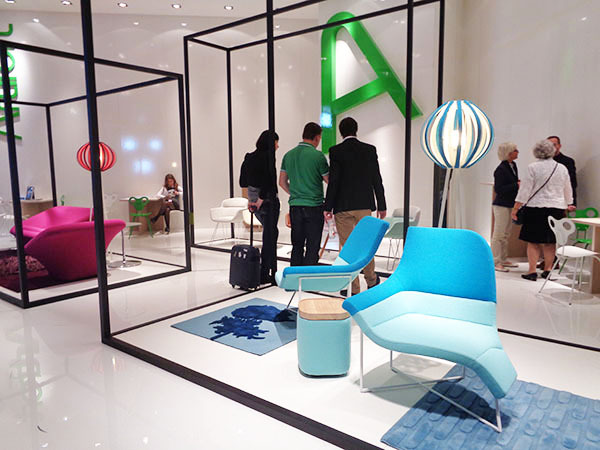 The smiles cemented on the faces at the Artifort stand were infectious. 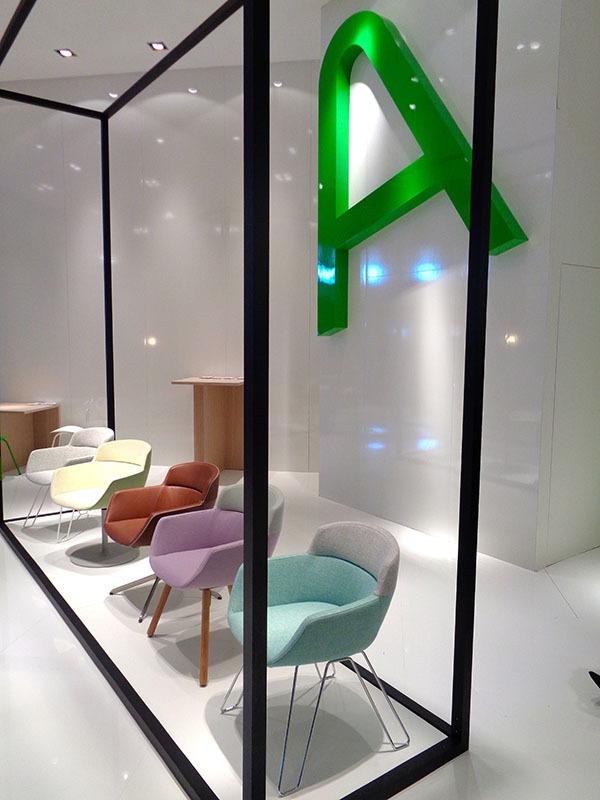 We were told it was because of Artifort’s new “funny little chair” parked next to us, but we doubt it can rely solely on that. 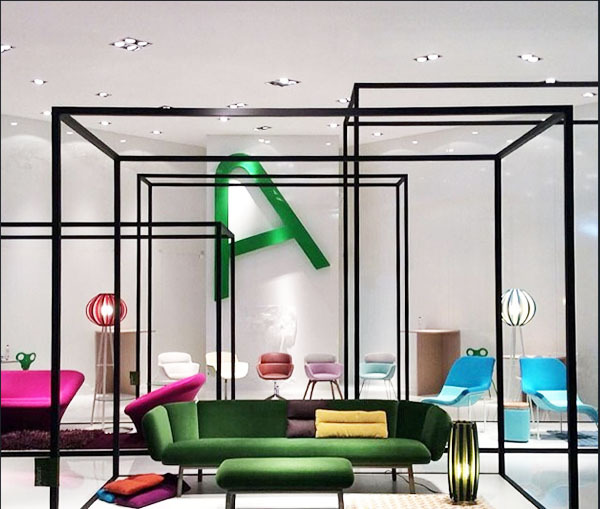 Artifort’s 2014 campaign is a holistic blend of new designs and licensed reintroduction, the two are almost seamless in what is set to be a strong year for our Dutch friends. Juxtaposing their stand of white and black geometry, the 2014 Artifort collection is a family of product which harmonizes the classic with the contemporary. Artifort’s Steven Vercruysse explained that rather than follow trend, they release furniture when they feel “the time is right”. 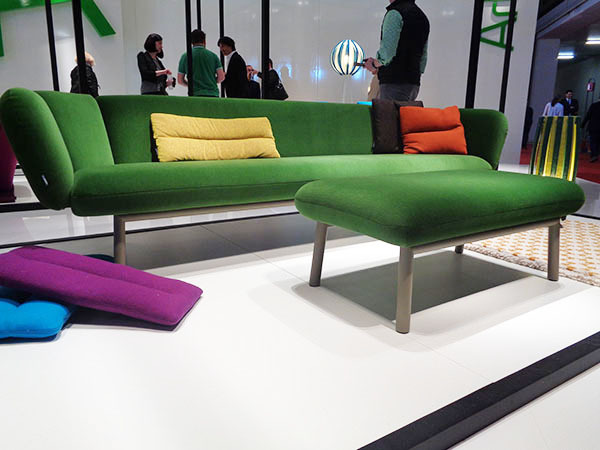 Forbidding themselves to look at the works of others, Artifort turns to their instinct and emotions when pulling together a collection, and it works. We listened, impressed, as the surrounding collection corroborated his story. That funny little chair, it should be told was Halo, a new design by Richard Hutten. Already described as an alien, Mickey Mouse and a frog – Halo will no doubt bring a smile to your dial.